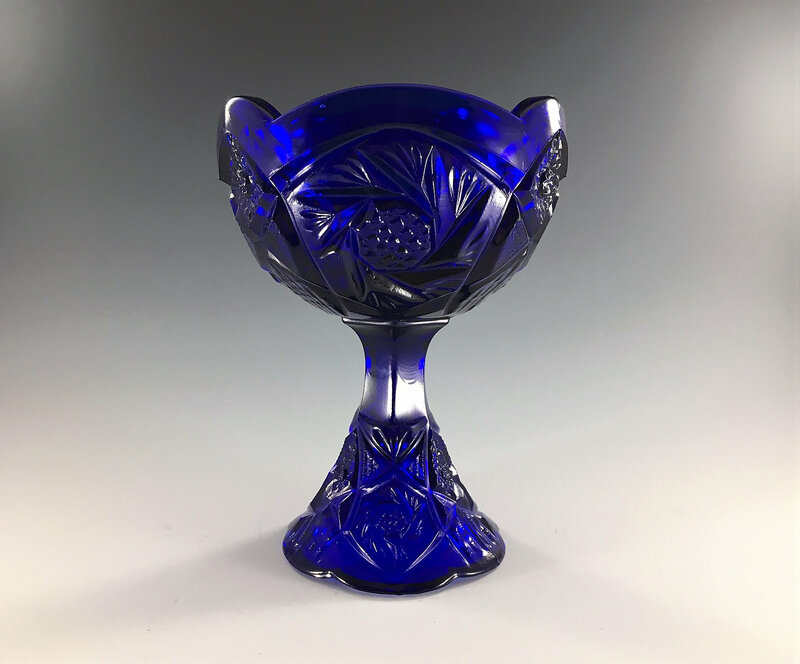 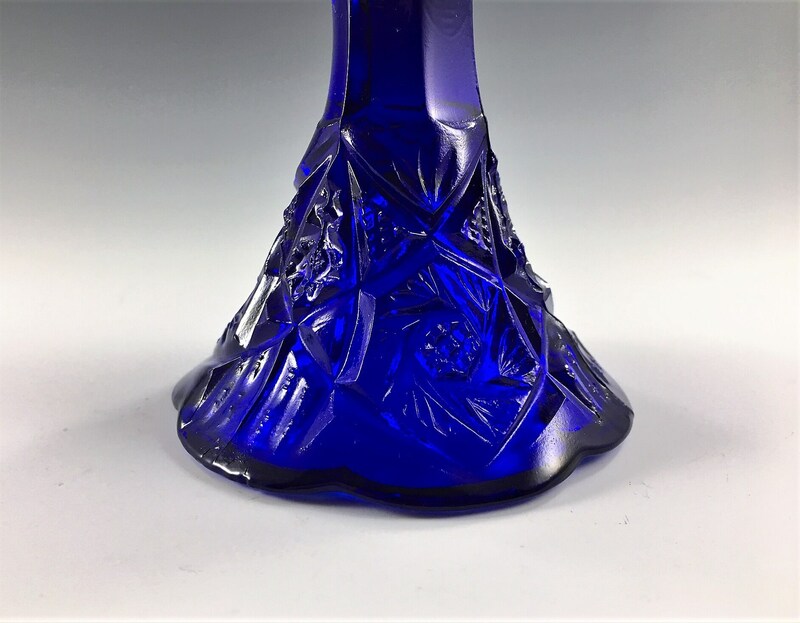 Featured is a unique and intriguing piece of cobalt blue glass. 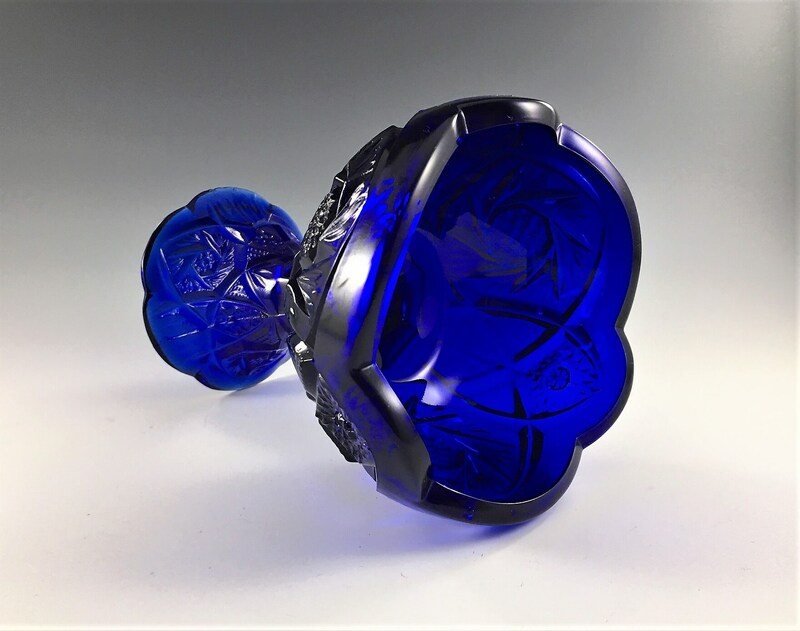 This piece has the dimensions of a children's punch bowl. 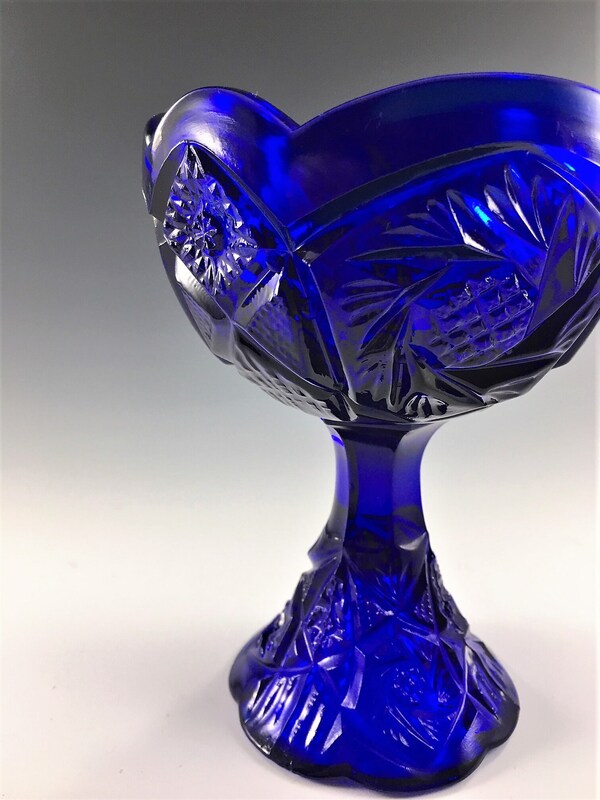 It's shaped like a chalice or a small compote. 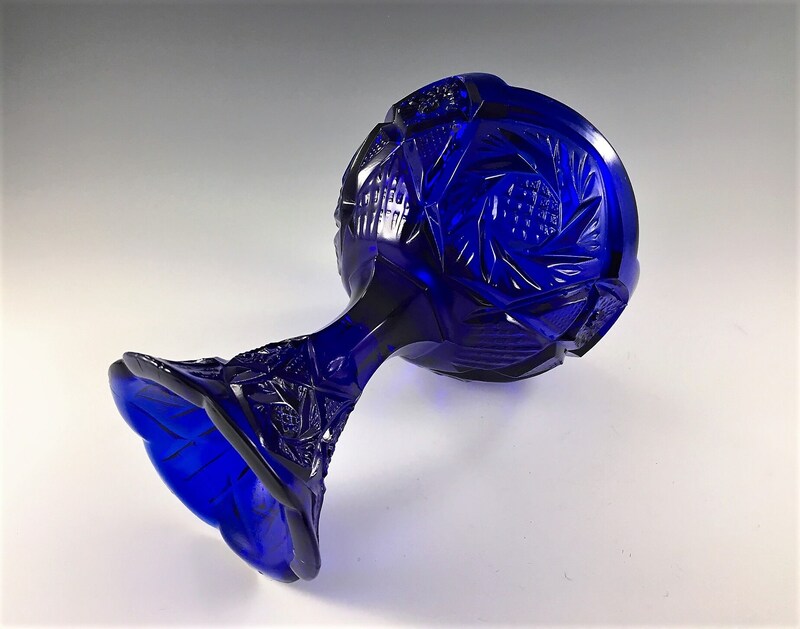 It has a whirling star and arches motif and measures about 6 inches tall and about 4 3/8 inches in diameter at the rim. 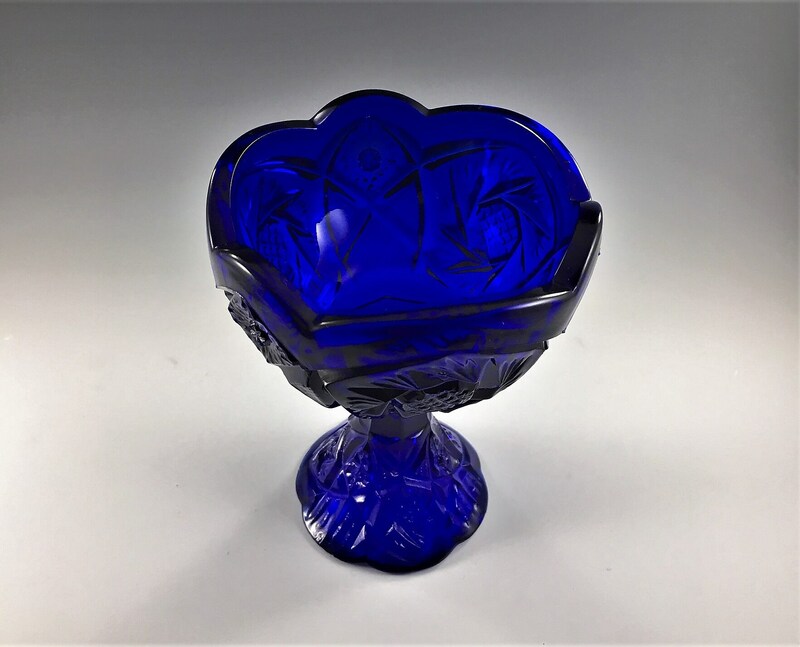 This cool piece is in excellent condition with no chips or cracks.